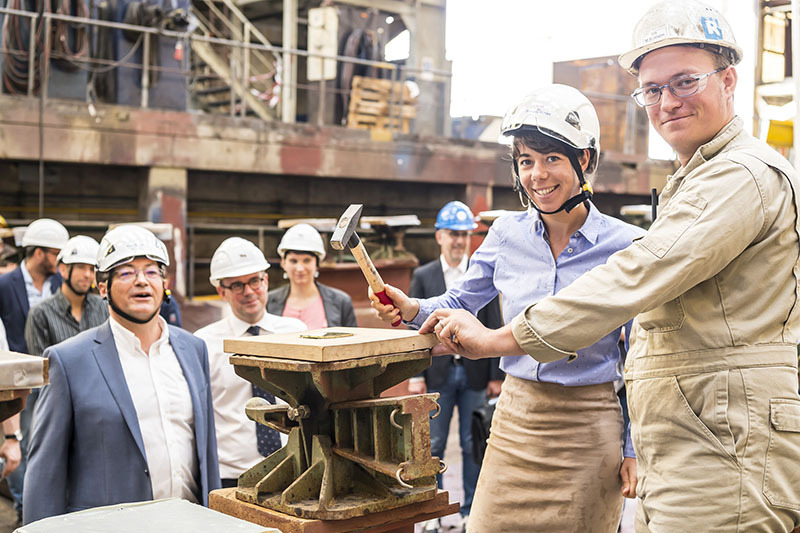 On August 7, the traditional coin ceremony took place at FSG shipyard in Flensburg. For Brittany Ferries and the shipyard it was an occasion to highlight the design process of the hull design, something for which FSG is well respected. After assembly, HONFLEUR’s hull will be launched in December.